What is the future of news – and online news in particular? Jimmy Maymann, the CEO of the Huffington Post, does not believe in paywalls because often the content is not worth paying for. He believes in free access. However, there is a challenge to that – how to make the business profitable? Besides advertisements, Jimmy, coming from video background himself, believes in video. If done right, video is something that matters from monetization perspective. We’ve just added Jimmy Maymann’s talk from the TNW Europe Conference 2013 to our TNW Video site and you can watch it right now for free. Businesses such as Guardian or New York Times produce 90 to 95 percent of their content. Using only an ad-funded model, Jimmy thinks it is impossible to have 99 percent of original content paid by ads, and this is a challenge that Huffington Post has been facing. 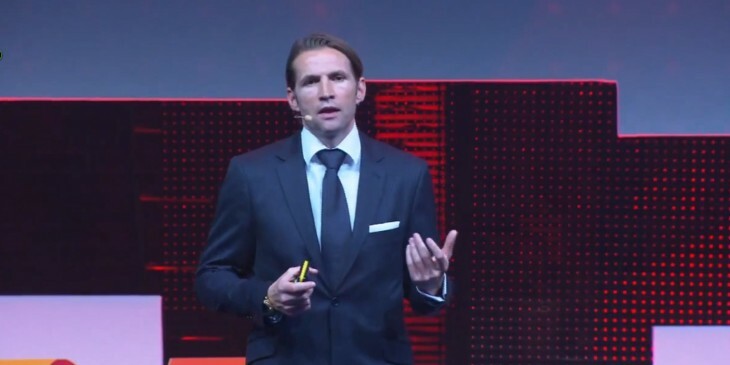 Jimmy Maymann thinks the solution lies with video and tapping into the social economy – the way businesses engage with people and have conversations, defining a new direction for media. How do you win your audience? And how can tapping into niche audiences can help to build a true global brand? Watch more TNW Conference videos right now at TNW Video.